Arsenal have officially confirmed the capture of Bernd Leno from Bayer Leverkusen, with the player set to move to England and join the squad at Emirates. Arsenal have completed their first signing of the summer transfer window. The Gunners have been able to secure the services of Bernd Leno on a permanent basis. 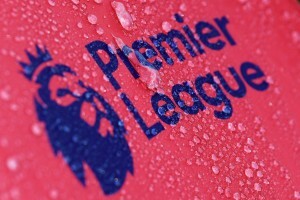 The player will arrive from Bayer Leverkusen on an undisclosed fee and is yet to choose or be awarded a jersey number. Bernd Leno is one of the highest rated young goalkeepers, not just in Bundesliga but in world football. Leno’s shot-stopping ability and reflexes are touted to his strongest asset while his agility is an underrated trait. The said agility and reflexes also help him prevail in One-on-One situations, making him one of the best shouts to save penalties. Leno is already a full-fledged German international, having featured on 6 occasions for the German National Team. The Bayer Leverkusen stopper had a good season at club level, despite not being called up by Joachim Low to be part of the German squad for the World Cup. Arsenal’s need for a new quality goalkeeper is not a secret. Petr Cech did arrive from Chelsea but has been unable to show the same kind of form and consistency that heralded him as a legend at Stamford Bridge. David Ospina has struggled to upheave Cech as the first-choice, despite strong performances whenever called upon. Bernd Leno was linked with Liverpool and Arsenal for a while now, with a hint of Real Madrid rumours sprinkled on top. The Premier League is not just an illustrious league but one which most of the top quality goalkeepers call their home at the present. David De Gea and Thibaut Courtois are two of the absolute best goalkeepers in the world at present, perhaps both coming in the list of top 5 goalkeepers right now. But, in an era where the top teams have shown their affinity towards paying the big bucks to secure their goal – Manchester City’s record pursuit of Ederson Moraes – Arsenal’s signing of Petr Cech did look like a shot in the dark. The experiment has failed and with a new head coach in place, Arsenal have not hesitated in paying the big bucks themselves to land Bernd Leno. While there is no official confirmation of a fee, Bernd Leno reportedly had a €22 million release clause in his Bayer Leverkusen contract and it seems Arsenal have paid the full Monty to bring him to Emirates. It’s a signing that was very much needed for Arsenal and one that should reap the club dividends in the years to come.